« The. Best. Trash. Can. Ever. 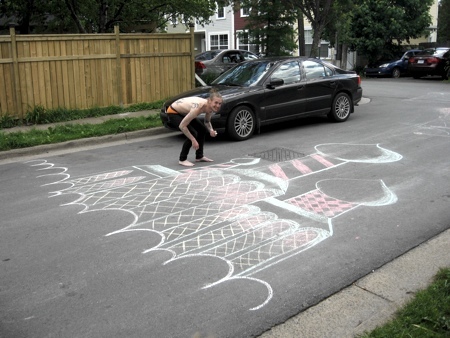 Two young men drew a towering castle out of chalk to celebrate a friend on Sunday. The barbershop- and Kremlin-inspired design was accompanied by the words Happy Birthday, Cari. The drawing lasted until rain overnight Sunday washed it out.